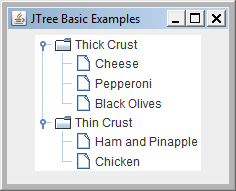 In the previous post we looked at displaying information in a hierarchy using JTree. 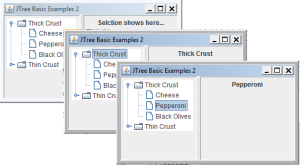 This tutorial runs through how to change information displayed based on selecting a JTree node. As each tree node is selected the information displayed on the right changes. JTree is a Swing class used display a tree like structure such as the one shown below.